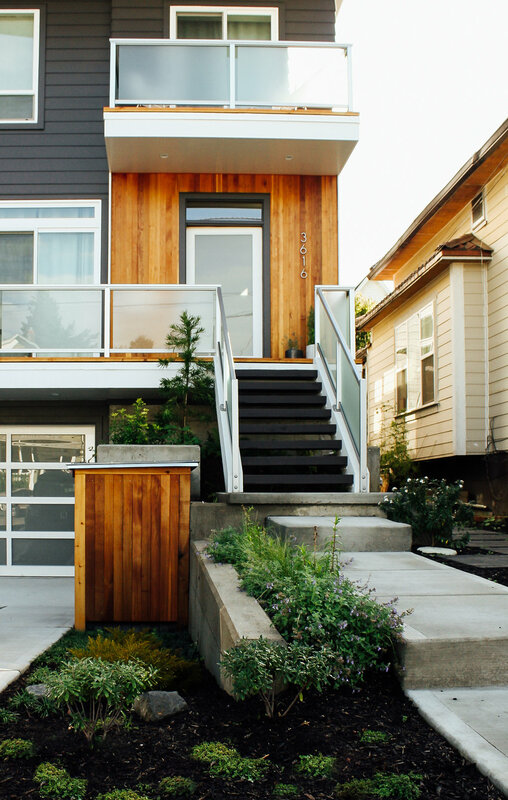 This contemporary duplex is a stand out in North Portland's Boise-Eliot Neighborhood. The front yard was designed around the unique needs of a duplex, with matching clear cedar garbage enclosures, concrete walkways, permeable driveways and colorful plantings. Curly willow and Crepe Myrtle trees provide seasonal interest and low-growing ground covers and shrubs add texture. 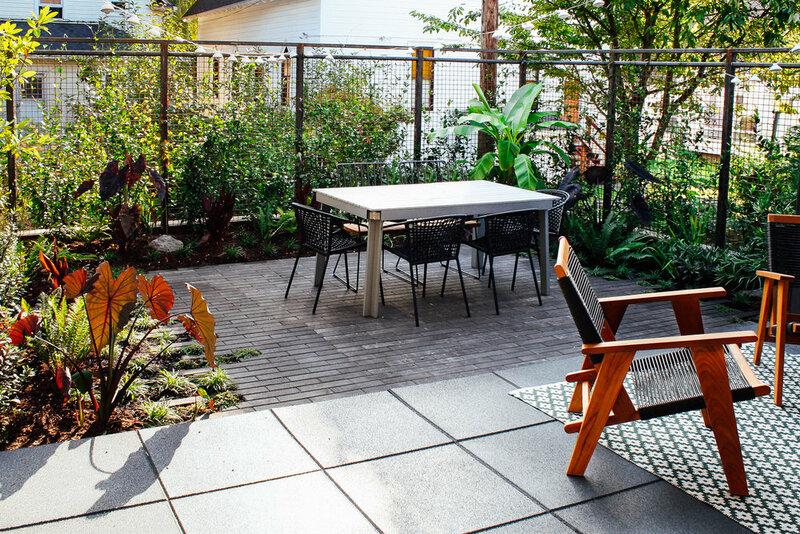 The backyard features lush courtyards, with concrete plank pavers laid with an irregular edge that blurs the boundary between patio and garden. 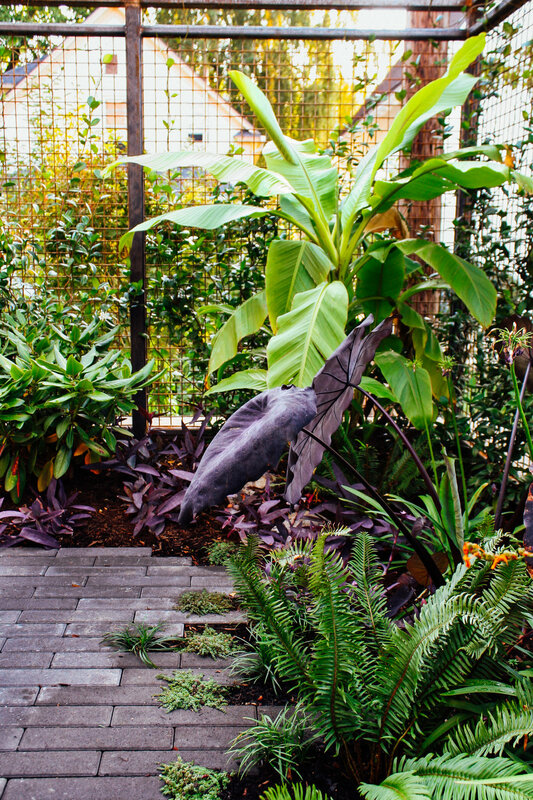 The tropical-inspired planting palette features deep purple Colocasia, bright green banana, deep red Tasmanian Pepperbush and hardy Tradescantia. The courtyards are surrounded by custom fabricated steel trellis-fences, upon which climb flower-laden star jasmine and Clematis vines.